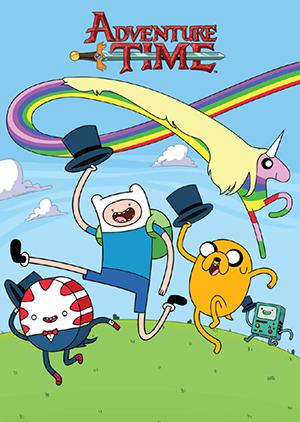 Adventure Time is one of the strangest and most delightful cartoons to take on a post-apocalyptic world. Not that there's a lot of competition in the genre. It's funny, it's random and it's creative. 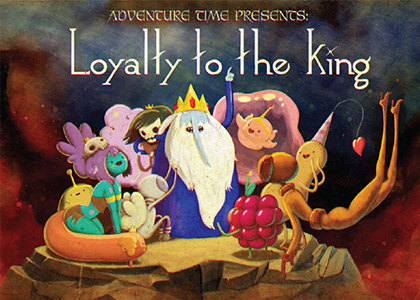 And that's the exact approach 2014 Cryptozoic Adventure Time trading cards are taking. 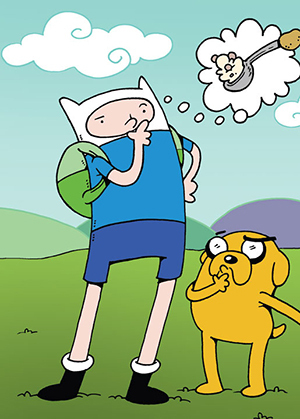 Combining elements from both the show and the comic, it also includes plenty of new content. 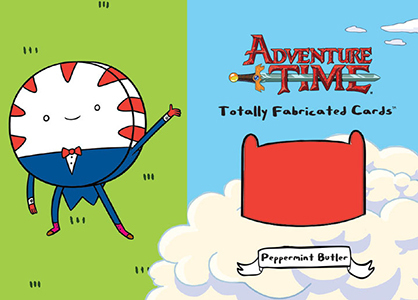 The 2014 Cryptozoic Adventure Time base set has 54 cards. Besides shots from the cartoon, it also includes some original art, comic covers and title cards. Sketch Cards (1:24 packs) feature original art. For a show that thrives on creativity, collectors can expect a similar approach to the artwork that's done directly on the card. 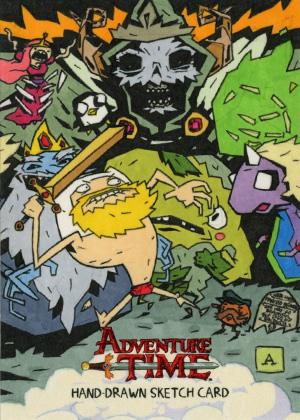 Blank Fan Art sketch cards can also be found, giving aspiring artists a chance to create their own Adventure Time masterpieces. 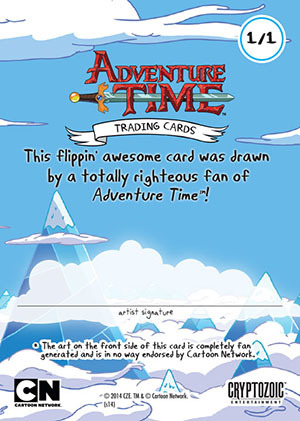 2014 Cryptozoic Adventure Time has a fairly extensive list of autograph signers. 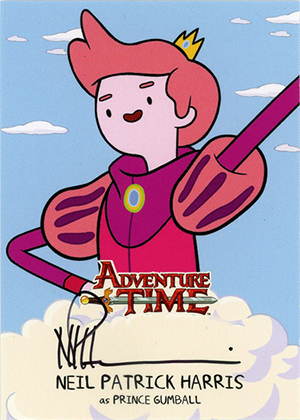 Among those committed to signing for the set are Hyden Welch (Princess Bubblegum), Roz Ryan (Cake), Laura Silverman (Ethel Rainicorn), Olivia Olson (Marceline) and Neil Patrick Harris (Prince Bubblegum). Cryptozoic's tongue-in-cheek Totally Fabricated line continues. These take the memorabilia card concept and include fake swatches of things found in the show. The set also has a pair of basic insert sets. 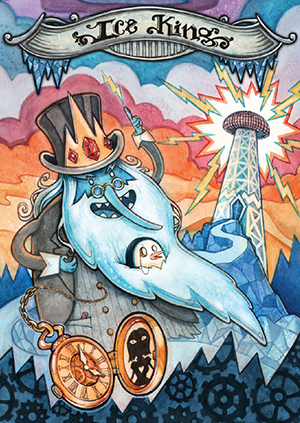 Katie Cook has created new art for nine-card puzzle. Falling at the odds are nine foil Steam Punk cards. Adventure Time OLIVIA OLSON Autograph Card A4 Marceline INSCRIBED You're Cool!! Adventure Time JUSTIN ROILAND Autograph Card A1 Lemongrab SKETCH ADD-ON Peace! 54 cards. Shop for base sets on eBay. 20 cards. Inserted 1:24 packs. Click here for a full gallery. 1 card. Inserted 1:24 packs. 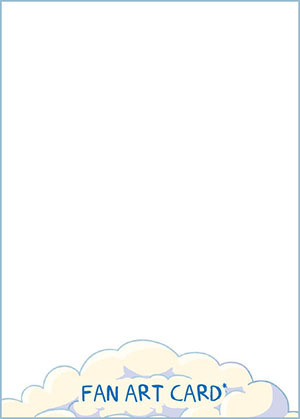 Card is a blank sketch card. Inserted 1:24 packs. The following artists did cards for the set. 7 cards. Inserted 1:96 packs. TF-07 exclusive to binder.